The elite eight is set to return to the poker tables at Caesars Palace on Sunday, and headlining the remaining field will be the 76 year-old 10-time WSOP bracelet winner Doyle Brunson. Along the way Doyle has defeated Brock Parker, who won back-to-back bracelets at the 2009 WSOP; Actor, and poker enthusiast, Don Cheadle; and young superstar Annette Obrestad. In the round of eight Brunson will face off against Dennis Phillips, who has gone from a Cinderella story at the 2008 WSOP, to a polished poker professional and serious poker contender. Scotty Nguyen – The 1998 WSOP Main Event Champion has a total of 5 bracelets and is one of the most prolific tournament players of all-time. Nguyen currently ranks 5th on the all-time money list for tournament earnings, and a win at the HUPC would vault him past Phil Hellmuth. Annie Duke – Considered one of the best female poker players in the business and along with Phil Hellmuth is the face of UB Poker. Duke gained even more notoriety with her appearance on Celebrity Apprentice, and the ensuing rivalry with Joan Rivers. Erik Seidel – With 8 WSOP bracelets and ranking 9th on the all-time tournament money list, Seidel is perhaps the best low-profile poker player in the world. With all of his success, Seidel’s claim to fame came when the final hand of the 1988 WSOP was immortalized in the movie Rounders; a hand Seidel lost to Johnny Chan. Peter Eastgate – The 2008 World Series of Poker Main Event Champion, Eastgate has proven he isn’t a one-hit wonder. Piling up a further $1.7 million in winnings since taking home $9.1 million for his WSOP win, Eastgate currently ranks 7th on the all-time tournament money list. Jason Mercier – The PokerStars pro is one of poker’s rising stars, Mercier owned the European Poker Tour throughout 2008, with two wins and over $2.5 million in winnings. Mercier won his 1st WSOP in 2009, and went on to finish 4th in the 2009 WSOPE Main Event. Jerry Yang – The 2007 WSOP Main Event Champion is looking to prove that he belongs in the tournament. Yang’s poker skills have always been in question, but a second major tournament win would go a long way to dispelling any doubts about his poker chops. 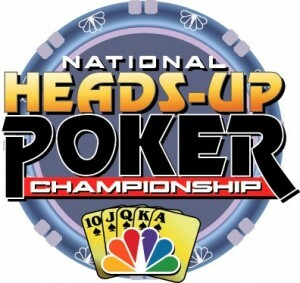 This entry was posted on Sunday, March 7th, 2010 at 10:22 am and is filed under Poker News. You can follow any responses to this entry through the RSS 2.0 feed. You can leave a response, or trackback from your own site.